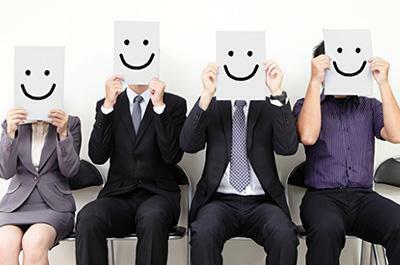 Candidate experience is how a job seeker reacts to a company’s recruiting process. There are hundreds of articles out there on how to improve candidate experience. It’s a topic that’s been gaining much popularity in the recruiting world, but why does it matter? There are billions of people out there looking for jobs. Surely, companies will eventually find one that qualifies for the job, right? Not so fast! Here are 3 reasons why you should treat your candidates as valuable as your customers. The majority of candidates we speak with voice complaints about candidate experience. It seems most job seekers out there are not having a good experience when interviewing. This is a shame because many employers turn off good talent this way. Employers are missing out on the top talent. This is something easily avoidable. All companies strive to improve their brand reputation. However, your reputation as employers should not be overlooked. A company cannot build a strong brand reputation if the people, including your valued customers, learns that its employees and candidates are not treated right. A poor candidate experience will set back your efforts on building that solid brand reputation. Creating a strong reputation starts from giving a delightful candidate experience. In fact, a solid candidate experience is the foundation for an employment brand. You will instantly increase your reputation by having a stellar interview process. Word gets around fast, especially in niche markets. Improving your candidate experience builds a strong employment brand. In turn, a strong employment brand attracts talented candidates. Candidates have worked very hard to earn their degrees and gain valuable work experiences. They don’t deserve to be left in the dark or given vague responses. Talented candidates know their value and want to be treated right. Giving candidates a pleasant experience allow them to shine. They’ll be better able to show their strengths and you’ll be better able to pick the right candidates. This is a major step to getting the best people. And your people are everything. If you want the best act like that best. This includes having a first class interview process and candidate experience. Be know for your interview process and you will attract the best. be know for a not so good experience, and the best will avoid you like the plague. Thebest are never desperate. Yes, you read it right. Candidates who’ve enjoyed their application process will share their positive experiences. This is an opportunity to build a positive image for your company to attract more customers. Kevin W. Grossman, vice president of Talent Board, has spent many years in the world of talent management. He found that having a positive candidate experience can positively impact the direct revenue for consumer-based businesses. This is an easy way to increase your bottom line with little to no financial investment. Reputation is more important in the digital age. This can turn good or bad very quickly. Stay on top of your reputation and reap the benefits. Treating your candidates right will not only build a strong employment brand, it will also help you attract more valuable candidates. Furthermore, it helps you attract more customers, thus increasing your company’s revenue. Start improving your candidate experience. What’s there to lose? Pick one or two things you feel would increase your value in your interview process. Train your staff provide feedback on time, give detailed feedback. Don’t leave people hanging. Give great tours of your office, share your vision with interviewees, get them excited. Have the process be smooth, fun, enjoyable, and inspiring. Most importantly, train your staff to care. "It is obvious that the Aldebaran team have their pulse on Atlanta’s executive market and the expertise to successfully represent its professional talent. By listening and understanding your goals and objectives, determining your strengths and potential, and investigating the market with precision, they accurately match the right candidate for the ideal opportunity. Aldebaran Associates deliver not only the knowledge and expertise, but truly make a personal connection with their client."